University of California, Davis has been home to the nation's largest pre-health conference for over a decade. Join us this year, for the 16th annual UC Davis Pre-Health Conference, which will take place on Saturday, October 6, 2018, on the UC Davis main campus. 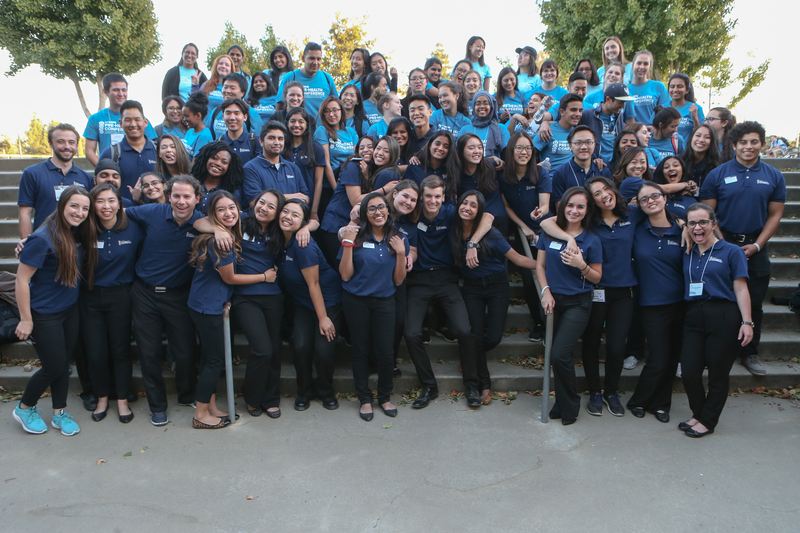 The 2018 Conference will host 4,500 pre-health students with varying health career interests, majors, and backgrounds from across the state of California. The conference hosts keynote speakers, deans panels, pre-health fair, and hands-on workshops covering a variety of topics from admissions to suturing. Attendees have the opportunity to explore a variety of health professions, including allopathic, osteopathic, podiatric, and naturopathic medicine, veterinary medicine, pharmacy, dentistry, nursing, optometry, physical and occupational therapy, physicians assistant, and more. This is your chance to engage with and learn from a wide range of health professionals, admissions officers, faculty, deans of admissions, and exhibitors through an array of didactic and interactive workshops, networking opportunities, and the pre-health exhibitor & admissions fair. Join thousands of other pre-health students as you take the next steps towards your place amongst the next generation of health care leaders. The UC Davis Pre-Health Conference is planned, coordinated, and executed by a team of UC Davis undergraduate students and the Health Professions Advising team at UC Davis. Without their dedication and hard work, along with that of many student volunteers, this conference would not be possible. If you would like to learn how to get involved with this year's conference, check out our Volunteering & Involvement page.